Dazzle and Lace specializes in party supplies, decorations and custom gifts. Our business is based in Raleigh and our online store is www.dazzlelace.com. Our line includes party favors, party centerpieces, party decoration rentals, balloons, DIY party supplies, custom gift baskets. 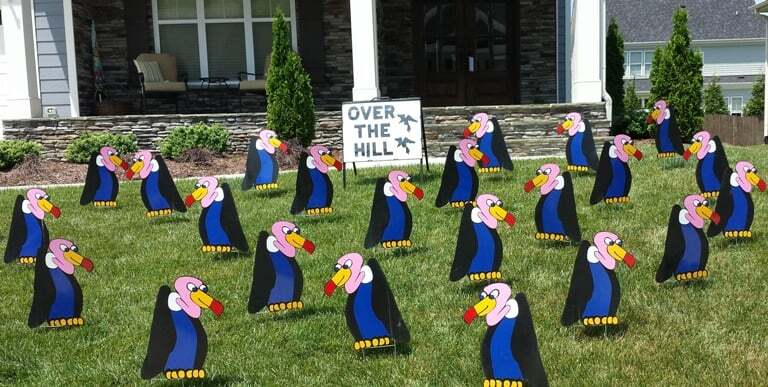 Some of our services are flamingo flocking and other yard decorations, custom gift wrapping, venue party decorating and more. 20% off any regularly priced item for anyone that mentions Shop Local Raleigh. Visit our website for products and ideas. Contact Robin at 919-621-9396 or email your order to dazlace@nc.rr.com.